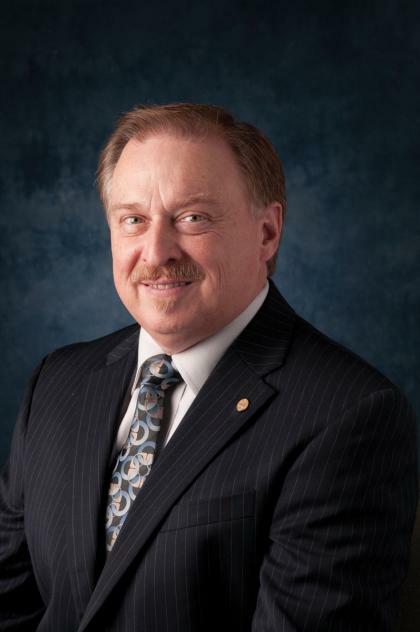 Dr. Arthur T. Worth, DDS'78, of Thamesville, has been installed as President of the Ontario Dental Association which represents more than 8,000 dentists in Ontario. His term began on June 1, 2012. "With the link between overall health and oral health becoming more evident, dentists play a large role in educating government and the public on oral health," says Dr. Worth. "As ODA President, I hope to engage other health-care providers - physicians, nurses and dietitians, for example - in sharing knowledge and working collaboratively with each other for the betterment of all Ontarians." Dr. Worth's contributions to organized dentistry began when he was a student at the University of Western Ontario, assisting with the student membership drive. After graduating, he served as secretary and treasurer with the Kent County Dental Society, as well as holding positions on the ODA's Board of Directors and numerous committees over the years. Dr. Worth's interest in all facets of health care has led him to co-author several clinical articles, which were published in the Canadian Journal of Anaesthesiology and the American Journal of Oral and Maxillofacial Surgery. He is a Fellow of the Academy of Dentistry International, the Pierre Fauchard Academy and the International College of Dentists.